Boy oh boy, was I excited when I spotted these in New York in August and I was even more thrilled once we started unpacking them a few weeks ago at the shop. 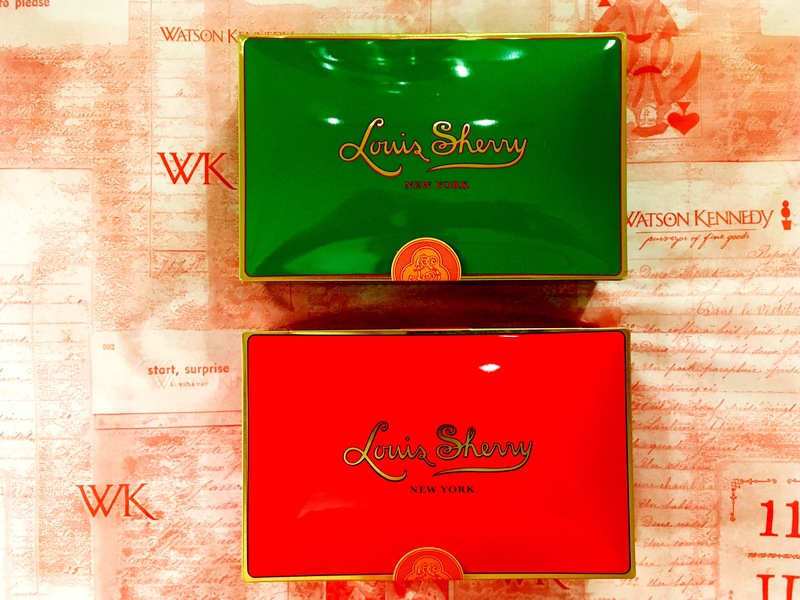 Mistletoe green and Vreeland red Louis Sherry iconic tins filled with super yummy truffles, what is not to like? For years I have spotted vintage tins at flea markets when out & about looking for goods for the stores–they make such a great keepsake. The company has been revived and once again these luscious tins can be enjoyed by all. Each box is filled with a mixture of a dozen milk and dark chocolate truffles, so they make just the swellest host/hostess gift this festive season or will be much loved as a stocking stuffer, gift under the tree or thoughtful treat given. 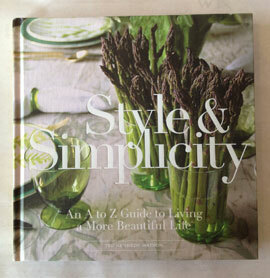 Please join us tomorrow, Saturday, at our Market shop, from 10 to 6 for our Holiday Open House. Lots of things to celebrate–the shops 17th anniversary, Bailey’s 10th birthday, and kicking off the Holiday season of thanks & giving. Bubbly, sparkling cider, as well as Louis Sherry truffles will be served. 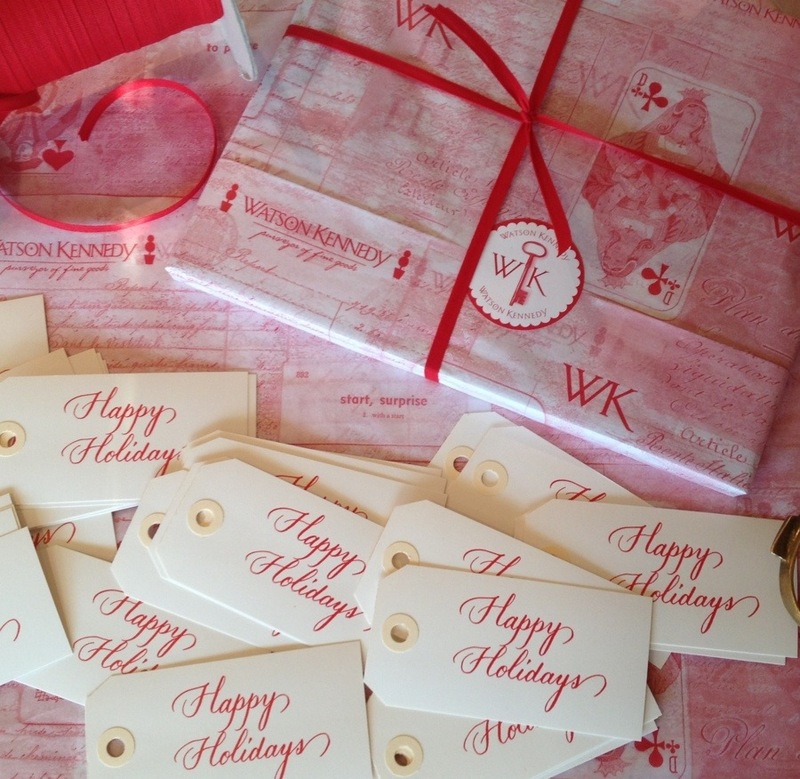 We will be wrap, wrap, wrapping away! Gifts to give, gifts to keep. We are more than happy to ship your gifts for you too. 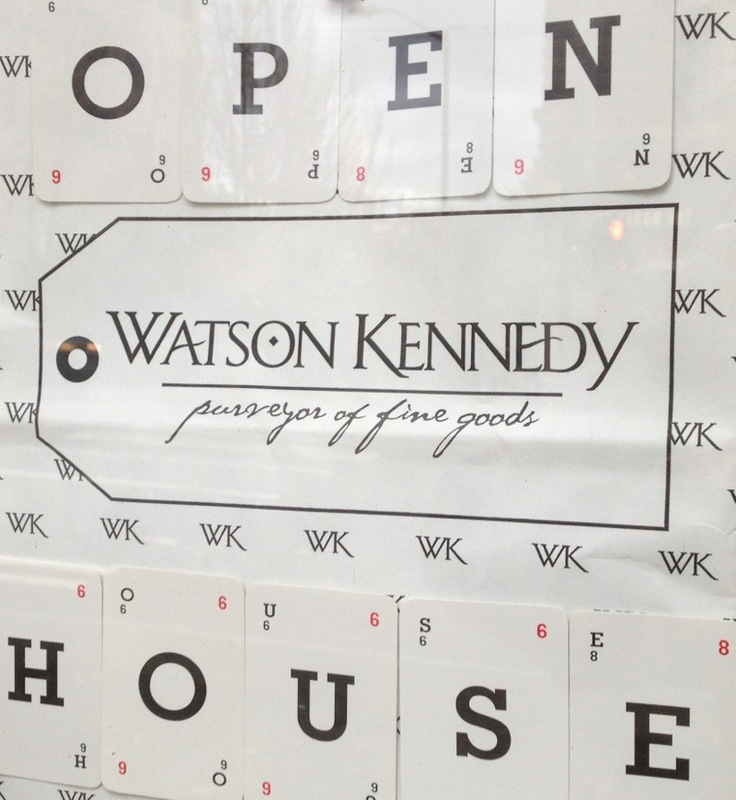 A raffle for our Watson Kennedy 2016 Le Jacquard Francais calendar towels will be held. Music will be swirling about, as well as good cheers. Hope to see you there! Please join us tomorrow, Saturday the 14th of November, as we kick-off the Holidays with our first Open House of the season, at the First & Spring shop. Music will fill the air, candles will be aglow, bubbly & sparkling cider will served, along with Louis Sherry truffles. 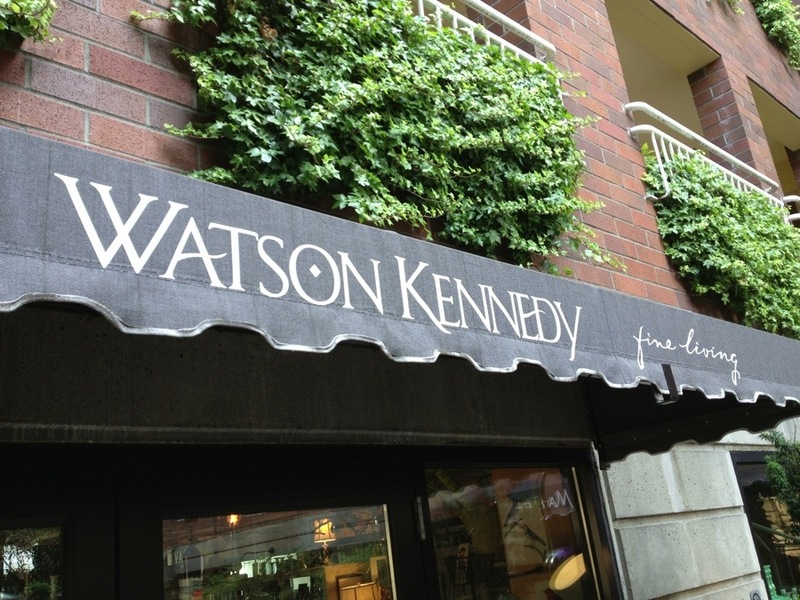 Our raffle this year will be for a 2016 Watson Kennedy calendar towel by Le Jacquard Francais. Ten winners in total. I always feel badly that you readers from afar can’t be part of the festivities, so this year, you can take part in the raffle if you would like. Simply leave a comment on this post with a quick answer to what you are most thankful for in this season of thanks & giving, along with your first name, and where you live. I love knowing where you all live! That way you get to feel part of the party. Seattle artist Jeanne McKay Hartmann will be painting live in store from noon to 4 PM, creating original 4×6 watercolors of Veuve Clicquot bottles just in time for the sparkling season. Each work of art is one of a kind and would be a perfectly festive gift to give this year. If you want one of these lovely creations and can’t make the Open House, give us a ring at the shop at 206.652.8350 either today or tomorrow before 4, and we will have Jeanne paint one for you and we can ship it out. It will be such a fun day. Hope you can join in the fun! Next Saturday, the 21st, we will be celebrating at the Market shop, so put that on your calendar too.